This book is bargain priced from 01/17/2018 until 02/15/2018. This book is bargain priced from 09/24/2016 until 09/30/2016. The 2016 U.S. Presidential campaign is in full swing, and many of the things candidates are saying and doing on the campaign trail have caused both shock and amusement among voters at home. 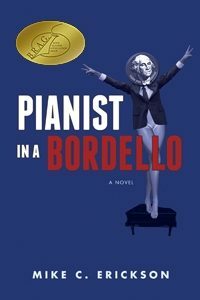 This political humor themed e-book takes a silly, satirical look at some of the major players on the right-wing side of the primary campaign, imagining some of their thoughts on their election prospects, as well as a debate between several of them as they try to convince the American people they would make the best president. Names have been changed (just slightly) to protect the not-so-innocent, but anybody who has watched the news in the last year will easily recognize this crazy cast of political characters.